Everyone wishes to have white, celebrity-like teeth. With age and due to lifestyle-related habits, our teeth are prone to discoloration and staining. We help you gain the whiteness of your teeth back with our professional teeth whitening solutions. Professional teeth whitening solutions are deemed to be more effective and safe. They are also the most affordable cosmetic dental procedure one can undergo. At Paul L. Gregory DDS, we take care of the sensitivity of your tooth roots and gums while performing our whitening treatments. All our whitening procedures are preceded by an oral examination to make sure that the tooth discoloration is not being caused by a dental problem that will need to be treated before whitening your teeth. We will then suggest the best whitening methods based upon your needs. At our office, we use KöR whitening system; it works by restoring your teeth’s ability to absorb oxygen. The oxygen from its bleaching gel is absorbed deeply into the tooth, dissolving stain molecules. In most cases, KöR whitening system produces little to no sensitivity. As a result, most patients have no discomfort from bleaching when using this technique. Testing has shown that patients who do feel some sensitivity using KöR teeth whitening systems typically feel no more than 10% of the sensitivity they’d feel from other bleaching gel. You can easily maintain your new white smile for up to two years (depending on person to person) by caring for your teeth with regular brushing, flossing, and dental cleanings. You should also avoid smoking and consume beverages and foods such as wine, coffee, and tea in excess as they could stain your teeth. We also offer touch-up treatments to help you maintain your smile. Schedule your appointment for whiter, brighter teeth at Paul L. Gregory DDS today! Call us at (212) 826-0505. Dr. Paul Gregory has over 25 years of experience in dentistry. "Dr. Gregory has been my dentist for 20+ years. He is an excellent and thorough dentist. Recently I undertook a smile restoration with 6 porcelain veneers. Dr. Gregory did an excellent job explaining all the ins and outs of the procedure, and did all of the work to his usual high standard. I couldn't be happier!" "Dr. Gregory is the BEST dentist I've ever been to. He has taken great care of me for the almost 10 years that I have seen him for preventative care and also now is helping me straighten my teeth using aligners. He has a terrific "bedside" manner, only does what is necessary, and is clear and thorough in every cleaning. He will fit you in when you need to see him and takes ample time at every visit. At every routine care visit, he is incredibly thorough. He's also a nice person, and I love that it's a family business and his sister helps him run the business. You can't go wrong with choosing Dr. Gregory as your dentist!!" "My husband and I have been patients of Dr Paul Gregory for over a decade. He is an excellent highly skilled dentist who is also a caring and conscientious and professional who always puts his patients first above monetary considerations. He is personable and trustworthy and makes each visit a pleasure and how many dentists can you say that about lol. Most importantly I know he has our best interest at heart and knows his field and we trust him to give us the best possible care. A shout out to his sister Linda who is the office manager. She is a lovely person who is extremely well organized and runs the office super smoothly and it is always a joy to chat with her. 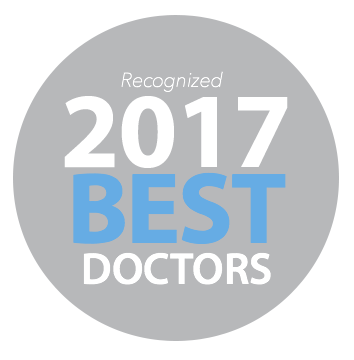 I give Dr. Gregory my highest recommendation." Have Questions? Call Us Now (212) 826-0505 OR Schedule Your Visit!